Welcome to ArborCon ...the premiere tree care conference in Michigan! ASM is the Michigan Chapter of the International Society of Arboriculture (ISA), a statewide membership organization for Professional and Emerging Arborists, Urban Foresters, Tree Workers/Climbers, Utility Arborists and Plant Health Care Specialists in Michigan. ASM’s members have been formally organized for almost 90 years. ASM is dedicated to helping tree care professionals succeed in their career and supports successful business opportunities and operations. Onsite registration is available at the times listed below for each day. ASM is happy to be partnering up with the UAA to offer their Regional Meeting sessions on Wednesday, February 13, 2019. UAA Regional meeting attendees can enjoy all the perks of an ArborCon registration including meals and vendor hall. 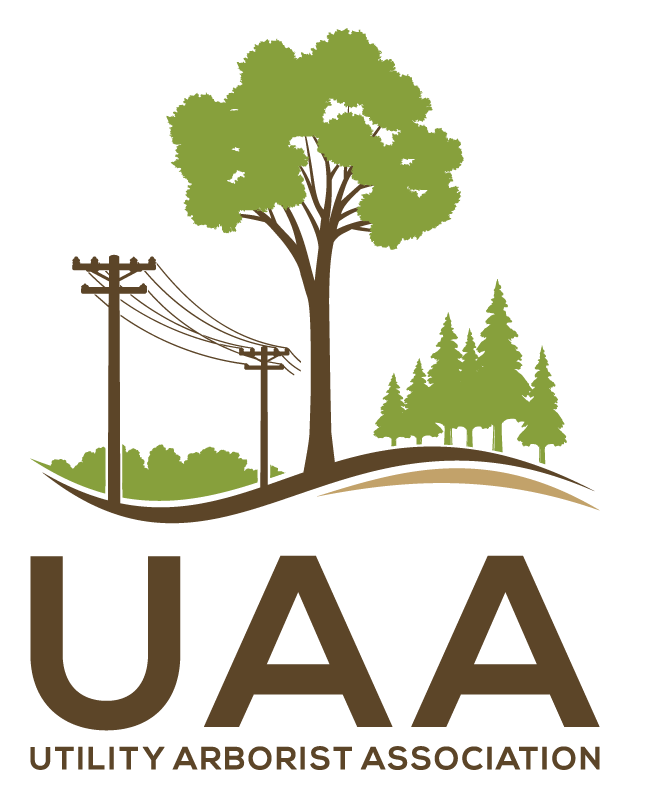 UAA Sessions are open to any ArborCon attendee as well. UAA membership will be verified. ISA CEUs, MDARD credits and CTSP credits are available! *Why Branches Fail: A Look at Watersprouts and Co-dominant Branches -– Dr. Greg Dahle, West Virginia Univ. Deadline to apply is January 24, 2019 (12 business days prior to test). No exceptions! Visit www.isa-arbor.com and follow the certification links or call ISA at 217-335-9411. Exam is located in the Lansing Center. All arborists must be trained to recognize and avoid electrical hazards. EHAP helps you meet yearly OSHA & MIOSHA safety requirements for anyone who works near utility lines. EHAP must be used in combination with documented on-the-job skills training and verification to meet OSHA 1910.269 requirements. The most common reason for double fatalities in tree care is failed aerial rescue attempts. An emergency could develop any time one of your crews is aloft and your employees must know how to react. This program helps you protect your employees and meets the aerial rescue training requirements mandated by ANSI Z133.1 and OSHA. Aerial Rescue Training is a prerequisite for taking the ISA Tree Worker/Climber Certification test. Every crew should have at least one person qualified to administer first aid /CPR. For line clearance certified tree crews there must be a minimum of two CPR Certified crew members. This class follows the American Red Cross First Aid/CPR Program. Participants will learn to recognize/respond appropriately to cardiac, breathing and first aid emergencies. Participants will gain the knowledge and skills needed to give immediate care to an injured or ill person and to decide whether advanced medical care is needed. Conference fees are based on your membership status and the number of days you attend. A detailed FINAL agenda with session descriptions is available by clicking Final Agenda. This includes the UAA Utility Track on Wednesday, February 13, 2019. TECH & SAFETY RODEO - A variation of the classic learning experience for the hands on Arborist. These sessions provide an interactive environment designed to stimulate a fun, competitive learning opportunity. Participants receive education and instruction on the industries best work practices while testing their skills and abilities to apply these techniques safely and efficiently. PPE/PPA provided for participants! Group Code: ARBO19, reserve by January 21, 2019 to receive the discounted rate. Parking: Available in the structure below the Lansing Center for $7 per entry, per day. ASM will no longer offer the Guest of a Member rate. The Non member fee includes a one year membership to ASM. Check out the agenda for specific session details. ARBORCON HAPPY HOUR: Join ASM and fellow ArborCon attendees at Tavern & Tap on Monday, Feb 11 from 7:00-9:00pm.There will be several beverages for $4 and the first round of appetizers are hosted by the Lansing Convention and Visitors Bureau! Come and network, meet new people and enjoy the atmosphere! VENDOR RECEPTION - Tuesday, February 12 from 5-7pm: This grand event features food, a cash bar, raffles, log sawing contest, Tech & Safety Rodeo and more! You won't want to miss this networking time with colleagues and industry specialists. Tour des Booths Raffle items will be posted at ArborCon registration. This raffle benefits the Tour des Trees Riders which benefits the TREE Fund. Bring your dollars and support tree research. BE GREEN: Consider bringing a water bottle to the conference. ASM will have water stations around the Lansing Center and in the session rooms. Fill up the bottle not the landfills!